When I started in ministry, I came across a lot of deliverance ministry models. Seeing that some achieved great results and others were similar to a horror movie displayed on a stage. It was confusing at first in my pursuit of understanding the wonderful ministry of seeing people delivered and transforming for God’s glory. Soon, I started walking in the anointing. And people were being set free similar to biblical accounts. They were being set free from tormenting thoughts, bad habits, addictions, night terrors and other demonic oppression. With each deliverance, I praised God, and wanting to know more in order to help other people be set free. I had a deep hunger in knowing how to have a biblical deliverance ministry. I was reading almost anything shedding light on the topic. However, I was also spending extended times praying and studying Scripture. What I came across helped me when confronting spiritual attacks and seeing precious people set free. 1. Jesus loves all people and wants everyone to be saved and free. 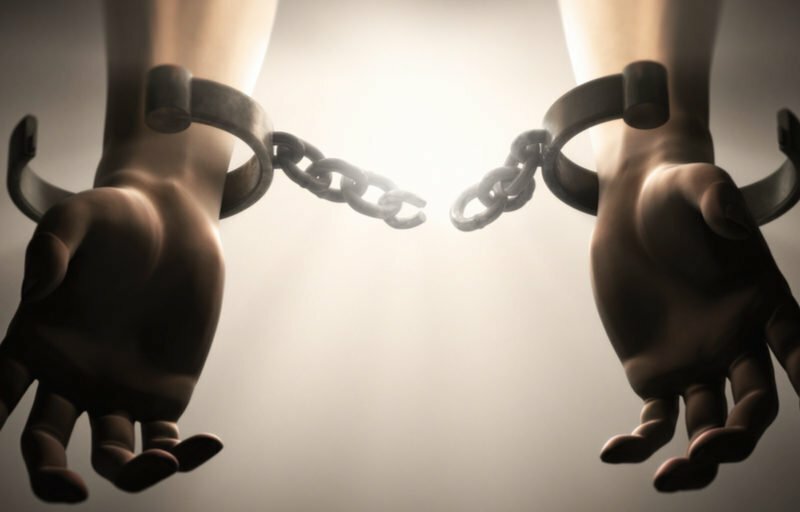 He came to set the captives free, fulfilling Isaiah 61:1-3. 3. Jesus rebuked the enemy. Matthew 17:18 says, “Jesus rebuked the demon, and he came out of him.” He took charge, having authority over the evil spirits. Censoring and deleting them from the person’s life. 1. Repent: I would ask the person to pray, repenting of their sins and acknowledging what the Scripture says aligning them with God’s Word and will. We would quote and pray Scripture and affirm its truth. 3. Renew: The person would entrust their faith in Christ, declaring that He is Lord of everything in their life, and ask for the fruit of the Spirit and to abide by Christlike character. If they didn’t have a relationship with Jesus, then in applying Romans 10:9-10, they would be saved. If they are Christians, this declaration is reaffirming their commitment and is a milestone in their life. And I would pray Scripture over them that would be the opposite qualities or character traits of the demonic spirits we cast out of the person. If we had cast out a spirit of fear, I would quote Bible verses on courage and strength, and power. Or if casting out a spirit of lust, we would pray self-control and love into their lives. 4. Refresh: This would be the final step, where the person is being baptized with the Spirit. Praying and worshiping, we’re asking God to fill them, giving them a personal prayer language. If they’ve been baptized with the Spirit, we would ask for a fresh infilling. As a result, they could receive joy, or a deep peace with the Spirit or encountering God with a vision. This is what I call the “house concept” from Matthew 12:43-45. When emptying them of the demonic oppression, we’re always ensuring they are filled with the Spirit. This is so that evil spirits do not return to their prior living space in the person’s life. Every situation is unique. We must be discerning and attentive to the incredible Holy Spirit. But I found these steps to be helpful in ministering freedom in Jesus Name. And it has been amazing to see Jesus setting the captives free.